Thomas Cole was the founder of The Hudson River School of painting – the mid-19th century American art movement of landscape paintings with an aesthetic vision influenced by romanticism. 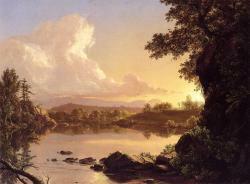 The Thomas Cole Historic Site in Catskill, NY has a new exhibition entitled Master, Mentor, Master: Thomas Cole & Frederic Church which is on view now and will be until November 2nd 2014. 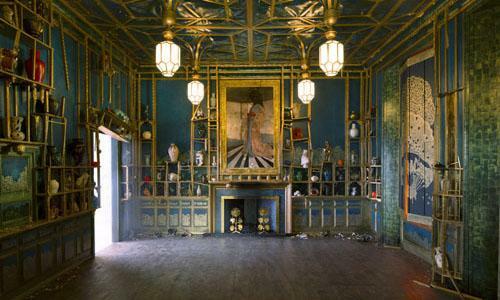 They are also running a capital campaign is to bring back one of the few known architectural creations of Thomas Cole – his New Studio. Here to tell us more are Betsy Jacks, ‎Director at Thomas Cole Historic Site and Kate Menconari, the site’s curator. Thomas Cole Historic Site - America’s Eden: Thomas Cole and "The Voyage of Life"
The 8th Annual Raymond Beecher Lecture at the Thomas Cole Historic Site entitled: America’s Eden: Thomas Cole and 'The Voyage of Life will take place this Sunday afternoon at 2PM. Dr. Paul Schweizer, Museum Director Emeritus of the Munson-Williams-Proctor Arts Institute (MWPAI) in Utica, will share new findings about one of Thomas Cole’s most iconic series. 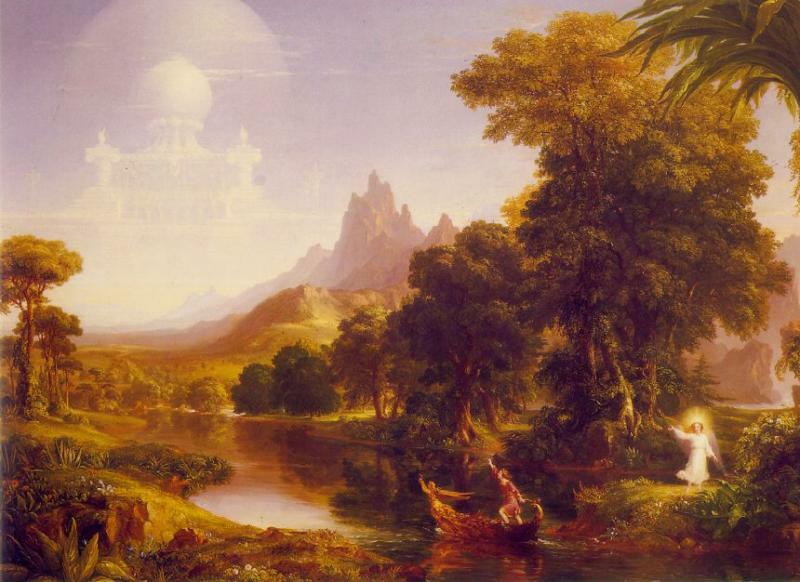 The talk heralds the occasion of this iconic series embarking on a new national tour in the exhibition, America’s Eden: Thomas Cole and "The Voyage of Life". The exhibition, curated by Schweizer, who also wrote the new exhibition catalogue on the series, will open at the Taft Museum of Art in Cincinnati in June 2014, exactly 175 years since Cole first began the paintings. We welcome Paul Schweizer and Betsy Jacks, Executive Director at the Thomas Cole National Historic Site in Catskill. Kaaterskill Clove: Where Nature Met Art is the exhibition currently on display at the Zadock Pratt Museum in Prattsville, New York. The exhibit is intended to raise awareness about the importance of the Clove and the need for its preservation in the face of the environmental strain it has been under for the past several years as tourists flock to its swimming holes in the summer months, with many leaving garbage behind, polluting the creek, and even spray-painting graffiti across the cavernous rock walls. The show is up through the summer until Columbus Day weekend and features Clove artwork by contemporary painters alongside one of the late Thomas Locker's renderings of Kaaterskill Falls. Here now to share more are Andy Reid of the Zadock Pratt Museum and Dr. Kevin Avery, a Senior Research Scholar at The Metropolitan Museum of Art. Olana is the 250-acre home of Frederick Edwin Church, the famous landscape painter of the 19th century and the master of America's first school of painting, the Hudson River School. 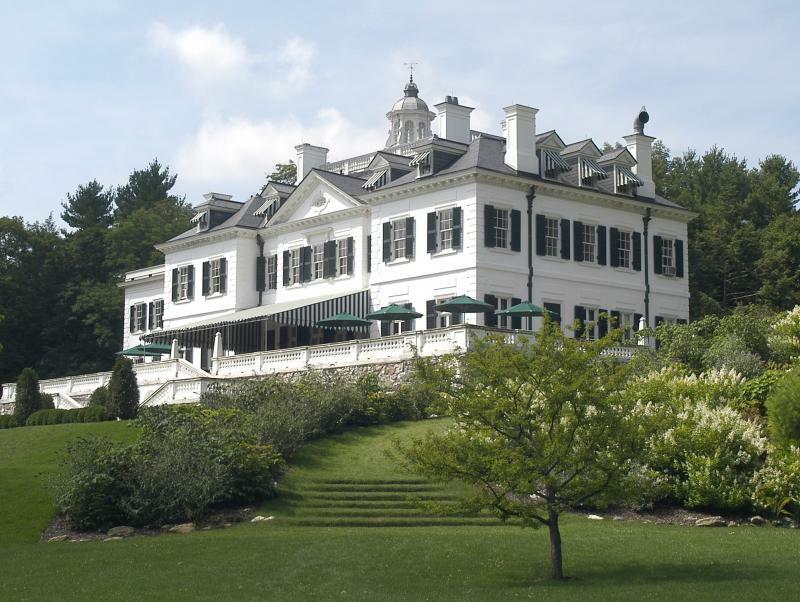 The beautiful Persian style estate is situated outside of Hudson, NY. 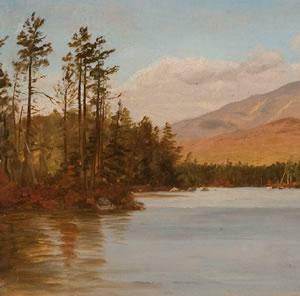 "Maine Sublime: Frederic Edwin Church's Landscapes of Mount Desert and Mount Katahdin" is a new exhibition currently on display at Olana. The show includes 10 oil and 13 pencil sketches from the Olana collection that celebrate the glories of Maine scenery. Many are on public view for the first time. Sara Griffen, Director of the Olana Partnership and Evelyn Trebilcock, Curator at Olana join us to tell us more. Edward and Jo Hopper first discovered Vermont in 1927, making day trips from the Whitney Studio Club's summer retreat for New York artists in Charlestown, New Hampshire. In 1935 and 1936 the Hoppers again traveled to Vermont, this time from their summer home in Cape Cod, in Edward's continuing search for new places to paint. During these quests they identified the White River and what Edward considered to be Vermont's "finest" river valley, and they returned there for longer visits in 1937 and 1938, boarding at Robert and Irene Slater's Wagon Wheels farm in South Royalton. Edna St. Vincent Millay was the most celebrated poet of her time and a significant figure in the 20th century American literature. Throughout her career, Millay led a life unfettered by conventions. Nowhere could she enjoy personal freedom and her own boundless imagination more than when she retreated to Steepletop, her beloved country estate, in Austerlitz. 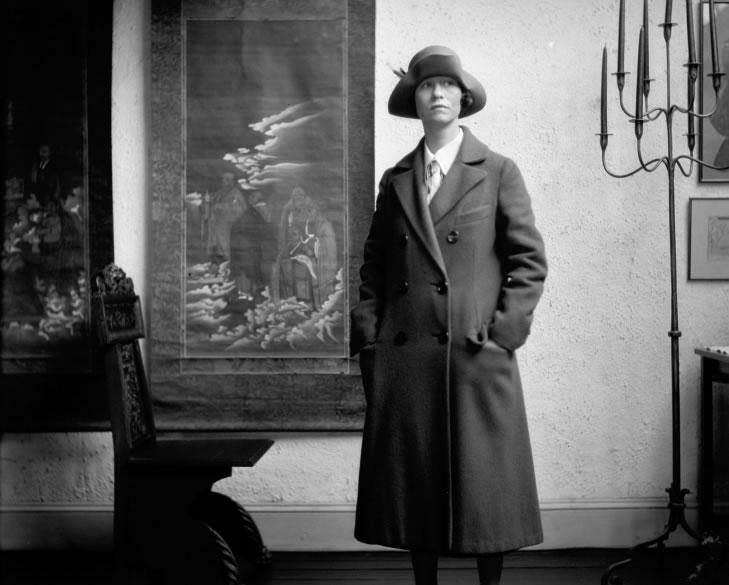 The Edna St. Vincent Millay Society at Steepletop will debut a new exhibition of rare photos and personal treasures. The show opens with a fundraising reception on Millay’s birthday – that’s this Saturday, February 22 from 5:30-9:30 pm at McDaris Fine Art in Hudson, NY.